Ten individuals, eager for independence, have traveled across the country to our facility in Cochranville, PA to participate in Team Training and begin a new chapter in their life. 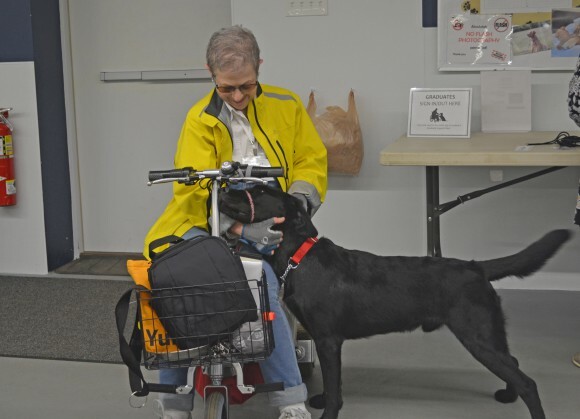 Team Training is a three-week intensive training program that teaches individuals how to navigate the world with a new CPL service dog by their side. Over the next three weeks, these teams will spend countless hours learning how to care for their dog, learning about the assistance dog industry and learning about public access rights. The teams will be taught training techniques and practice basic obedience and service skills. Along with the many hours of lecture and training, the class will take several field trips into public. The teams will eat at a Chili’s restaurant, visit Longwood Gardens, attend a Wilmington Blue Rocks game, ride a train into center city Philadelphia and more! We are all excited to watch these ten new partnerships form and strengthen over the next few weeks. Summer Team Training will conclude with a Graduation Ceremony on Sunday, June 25 and then these teams will head home to a new life of independence, hope, and unconditional love. Remember to like us on Facebook and follow us on Twitter so you can see photos and updates of our new teams!